part of the Christmas Ship™ Festival which offers several ways to experience the magic. Get up-close and personal on the Lead Boat that hosts the main choir of the evening. For a different experience, book your passage on a Follow Boat which grants you a captivating view of the Lead Boat and hear the choir broadcast to the shore and surrounding boats. 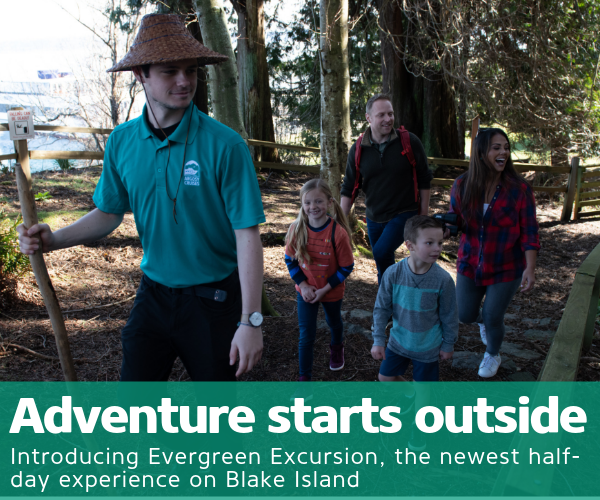 The cruise operates on several evenings throughout the season, but for an even grander spectacle, there are several special events to choose from. Treat yourself to an extra dose of holiday spirit during one of these experiences! The Kid Cruise is an afternoon trip that encourages parents to enjoy the fun and festivities while spending time with the kids. The journey gets musical with tunes presented by the group Recess Monkey; kids have a blast singing along and showing off their dance moves. Guests who partake in the Christmas Ship™ Kid Cruise will board from Tacoma City Dock and cruise for about two hours. The Parade of Boats is in its fourth year of spreading Christmas cheer throughout the boating community. 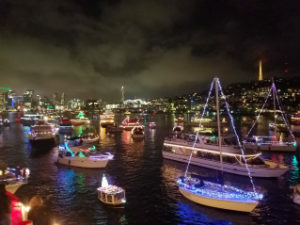 If you have your own vessel, decorate it with lights and register to participate in this joyful parade route through the Fremont Cut. Spectators can purchase tickets to ride the Lead Boat, the Follow Boat, or choose to watch for free at the onshore viewing party at Evanston Plaza. The event is two hours, with on board guests departing from Lake Union Park. 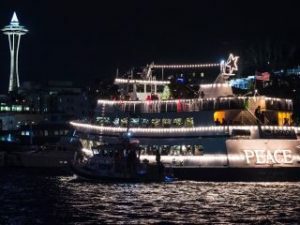 The 21+ Follow Boat features the ultimate holiday party. This cruise is for adults only, offering a break from seasonal family events. Whether you knitted it yourself or received it as a thoughtful gift, wear your favorite ugly sweater with pride at this fun soiree on the water. Holiday cocktails, an Ugly Sweater Contest, and festive entertainment keep the party going amongst the company of other 21+ guests. 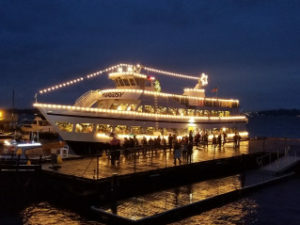 The 21+ Follow Boat embarks from Kirkland City Dock and traces the path of the Christmas Ship Lead Boat. The party spans about two to three hours. The final Christmas cruise of the season is a grand affair hosted by the region’s most festive boats. Along with Argosy’s lead boat and follow boat, viewers are treated to a whole fleet of decorated vessels that have come out to join the celebration. At the end of the cruise, guests will arrive at Lake Union Park to enjoy the last performance of the season from enchanting choir singers. The Grand Finale cruise is the perfect way to ring in the holiday. It includes enough dazzlement to last until Christmas morning, lasting a generous three hours. Departure is from the Kirkland City Dock. us on our next holiday cruise.